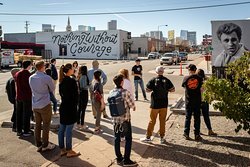 Tours from Best Tours of Denver tend to sell out - travelers recommend booking in advance! 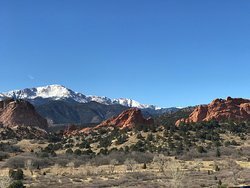 Private Best of Denver Tour (1 to 4 guests). Booking of 1, means 1 Group. Thanks for your review. It was a pleasure having you and your husband on the tour. I appreciate your patience with the crazy night we had. It was a fun night though, I really enjoyed it.The group, as a whole, had great energy. You guys are welcome anytime. Bill did a great job sharing all about the history, architecture, and of course, the spooky stories of homes throughout Capitol Hill. He was lively and positive, which made for an entertaining night! Made a quick stop at a cafe for anyone who wanted a drink or some food, which was nice too. Definitely recommend! Thank you for your review. I’m so glad that you enjoyed your tour. 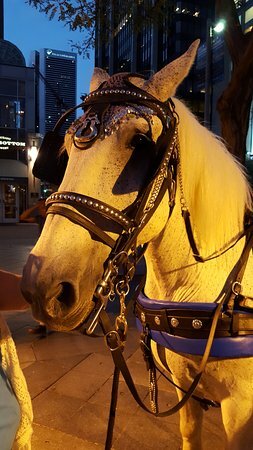 The Twilight Ghost Tour is one of my personal favorites. I love paranormal and historic aspect of the journey. It’s a little different every night. I agree, our stop at Sub Culture gives everyone a chance to refresh themselves, for the next part of the tour. Hopefully you get an opportunity take one of my other tours. You’re always welcome! My dad and I go on a ghost tour in every town we visit. 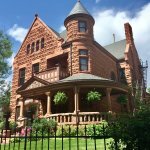 I recently moved to Denver, so upon my dad visiting this October, I searched for highly rated ghost tours near me. The tour was very historical (all of the old buildings are so beautiful) and the stories were very entertaining. Bill was very pleasant and a wonderful guide. I would highly recommend this tour if you are interested in the history of this town, both spirits and otherwise. Thank you for your review, Krystina. I’m thrilled that you and you dad were able to come on the tour, and you had a great time. Last Saturday was a beautiful night, and I really enjoyed your group. You both brought great energy to our tour. I agree, the area is beautiful, and rich with history. Now that you live in Denver, hopefully you can come back and take another tour sometime. 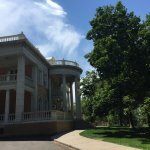 We toured Historic Homes of Denver with Bill...so many exciting facts! Bill lead us on a 2 mile tour and informed us of architecture style, previous home owners, and ghost stories! Pace was perfect! Nothing too hilly! Wonderful skyline view as the finale! Great interaction with all guests! We thoroughly enjoyed our tour! Thank you for writing a review for us, Jodi. I am so glad that you enjoyed your tour. I thourouly enjoyed taking you guys on the CapitolHill Ghost and History Tour. It was a beautiful day yesterday, perfect weather for a tour. Please let me know when you're in town again. I love to take you guys on another tour. We had a tour with Bill our guide. He was fun, informative and did a great job telling us history of homes, owners etc. Thanks for the review, Judy. Taking your group out on a tour was a blast! I am so glad that you enjoyed it. I hope you get a chance to come visit us in Denver, soon. 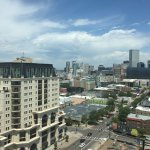 We took this tour on our first day in Denver and we were so glad we did it at the beginning of our trip. 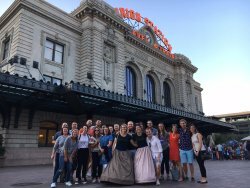 Not only did we learn a lot of history and interesting facts about Denver we learned the general layout of the town which made getting around over the next few days we were in Denver much easier. Bill was a fantastic guide. He was extremely knowledgeable about the area, the architecture, and the history. Bill shared the most interesting stories and history about each site we visited. The ghost stories shared on the tour were equally as interesting as the historical facts shared on the tour. The tour was around two hours but we could have easily kept going. If you want a great historical tour with some interesting paranormal stories mixed in, this is a great walking tour for you. 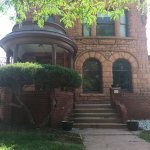 I highly recommend it if you are new to Denver or if you live in Denver and want to know more about the history and beautiful architecture in Capital Hill area. Thank you So much, Rhonda, for posting a review, and I loved the pictures that you took. The group that you were in was so much fun for me to conduct a tour with. I enjoyed your energy, and your enthusiasm to the tour. It makes a difference in the overall experience. Thanks again, I hope you can come back to Denver again, soon.